I could watch snow falling for hours. It’s so quiet and soothing, like looking at a lava lamp. 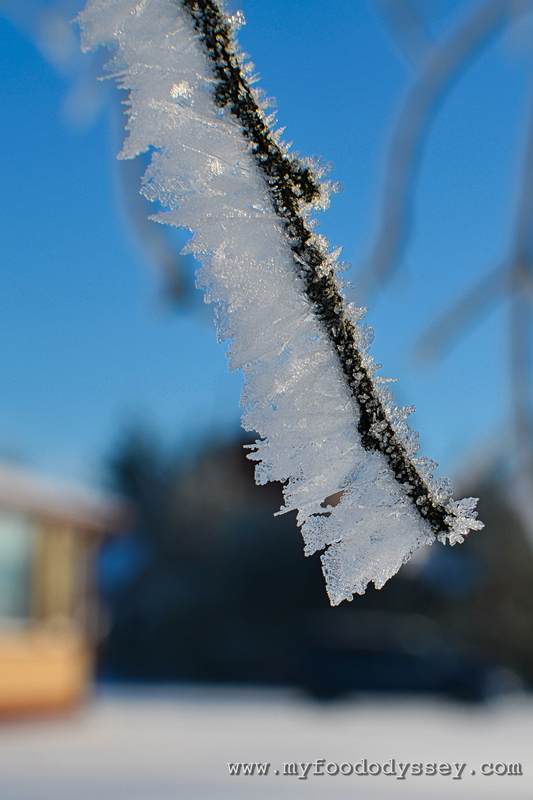 Weightless flakes float down and settle on trees, windowsills and rooftops. If the sun later makes an appearance, the whole vista sparkles like diamonds. It’s beautiful and hypnotic. Until, that is, you notice that a large volume of snow has collected on the roof of your polytunnel. It is no longer weightless, but is instead causing the entire structure to buckle and bend. I spent a chilli hour yesterday scraping it off but the damage caused will require significant attention come spring. In the meantime, I am entranced by the snow. I don’t remember snow in Ireland ever being as beautiful, Karen. Even if we were lucky enough for it to “stick”, it would only last a few days and seemed to end up quite slushy. Our weather just isn’t cold enough to sustain it. It would be nice if it could snow instead of rain, even just for a few days. The country has had more that its fair share of rain already this winter – time for a breather! Thanks Yvette! 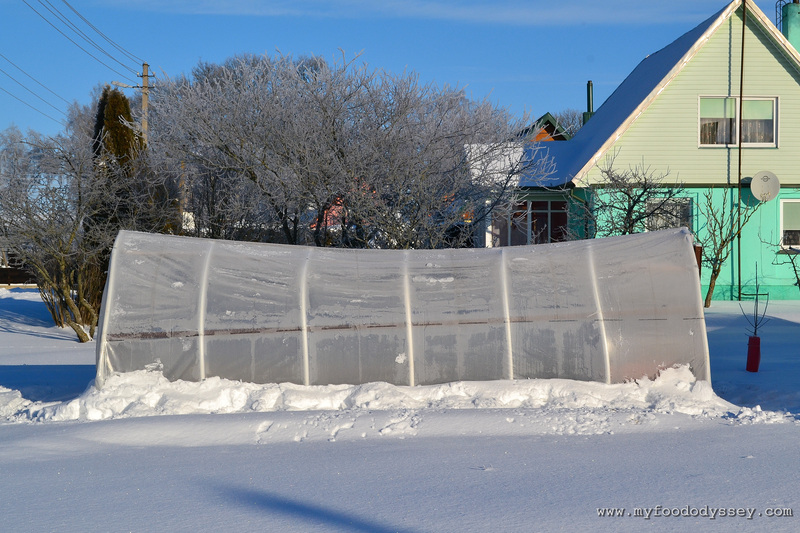 The one of the greenhouse is really just to show the huge dip in the centre – the roof only comes up to my shoulder now! But I do quite like the other two. 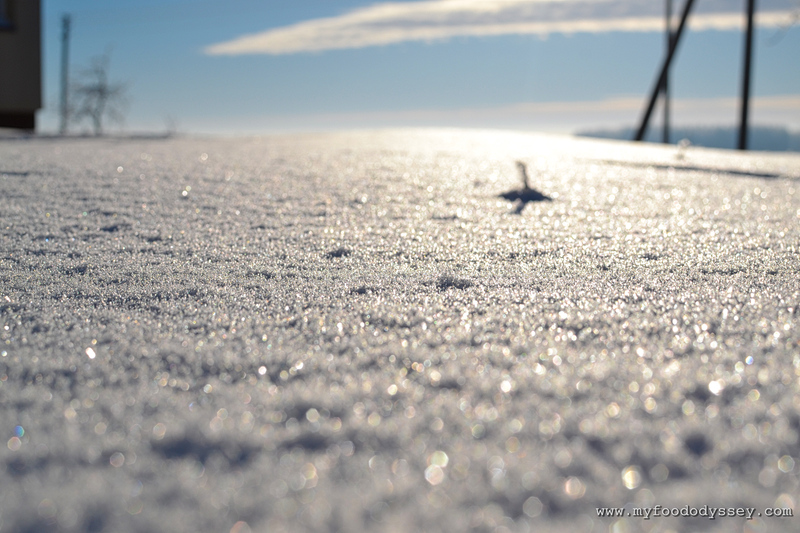 The snow just seems to sparkle. I know – it really is beautiful. I’d take the cold over grey skies any day. …and then there was the story of the cute little earthworm who decided to have a quick peek out at the quiet, soothing and weightless flakes as they floated down from the sky (photo No. 3)…and ‘zapp’ he was frozen solid for eternity. The sparkle is amazing, isn’t it? I’m tempted to get this printed and put it on my wall. I just find it so soothing.